The oldest type of Christian writing to survive is the epistle. Though this word derives from the ordinary Greek term for a letter, there is some advantage in keeping the traditional name. For among the many letters that have survived from different levels of society in the ancient world, these early Christian communications have their own characteristics and have become something of an independent genre. They are neither upper-class literary products, such as were written in many cases with an eye to publication, nor mere notes about day-to-day matters like travel and business affairs: though they have something in common with both. On the one hand, there are signs that some of them were intended to be read by more than one Christian group to which they are addressed (Col. 4:16); on the other hand, they do contain, along with material of much more serious import, remarks about local crises and problems (e.g. 1 Cor.) and about movements from one place to another (e.g. Rom. 15:22; 16:1-2). But chiefly, in a manner established (so far as our evidence goes) by the apostle Paul, they contain attempts to state and commend central features of Christian belief and behaviour, often, naturally, in response to challenge or misunderstanding. Local and occasional as they are, they do therefore have the possibility of wider significance, even if not the timelessness with which they have often been credited (Stowers 1986). The chief letters of Paul (as well as others, some of them eventually appearing in the New Testament, others not) certainly fit this description: notably, 1 Thessalonians, 1 and 2 Corinthians, Galatians, Romans, Philippians (to give a likely historical sequence of the apostle's most probably authentic works). The genuine but ephemeral Letter to Philemon is something of a puzzle: perhaps its survival is owed to its mattering very much to some individual or group of importance at the time of the letters' collection, probably around 100 CE. It has already been indicated that the survival of the great epistles should be ascribed to the intrinsic importance of their contents: they were worth pondering again and again, and worth turning to for guidance and authority in dealing with recurring difficulties, or even with problems other than those originally addressed. No doubt their position derived also from the significance of their author: when the weight of the Church shifted, in the final years of the first century, from Palestine to Asia Minor, Greece and Rome, and from Jewish to Gentile membership, it is not surprising that Paul's pioneering efforts in at least some of those areas gave a major boost to his posthumous position and so to the value and dominance of his writings. Time and again, as the years went by, it seems that these two factors— intrinsic value and relevance on the one hand and apostolic authority (genuine or not) on the other—combined to bring certain books to prominence in the life of the Church. A dual process was therefore under way: first, the Church itself, in various places and operating in a variety of ways, ascribed value to writings which it found useful or impressive. Partly they imposed themselves (e.g. they were by Paul); partly they chimed in with existing convictions about Jesus or church life, or else met certain needs. Second, the writings came to form Christian life and belief—as it were, they returned the compliment which the churches had conferred on them: in other words, they became authoritative (Metzger 1987). An additional factor is present from the start. Reception of an epistle means interpretation—and a communication may be 'heard' in other senses than that in which it is 'spoken'. And the process of interpretation, once begun, is continuous and unstoppable, with constant diversity. Hence, whatever the authority ascribed to a writing, the life of those who read it continues to affect the way they read—and the way they think and act on the basis of it. They are not automata, not blank sheets on which the writing impresses itself. These matters are of course of the utmost importance for the whole continuing process of the reception and use of Scripture, not only in the early period but always; not only with regard to epistles but equally with regard to all writings accepted as authoritative. Jesus' deeds and teaching than in his present lordship. All the same, the writing of the Gospels represents a move towards recapturing knowledge of Jesus, embedding Christianity in that foundation, and perhaps countering tendencies away towards speculative religion that was losing touch with the founder. In that sense, the writing of the Gospels is itself a move towards the formation of an authoritative Christian Scripture in a way that the writing of epistles, at least those of Paul, with their immediacy of concern, was not. However, this way of looking at the matter must immediately be countered by pointing out that the Gospel writers did not start from scratch. The books themselves, probably written in the order Mark, Matthew, Luke (with the Acts of the Apostles as a sequel), John, may come from the last three decades of the first century; as, perhaps, did the Gospel of Thomas and some other writings about Jesus which have survived only in fragments and which did not achieve authoritative, canonical status. But they surely used traditions about Jesus, both his deeds and his teaching and above all his death and resurrection, that had long been current in the Christian congregations. This is not to deny that there was a process of embellishment, invention and certainly re-application of stories and sayings of Jesus—the differences between the Gospels are tangible evidence of that; and what was said earlier about the continuous and inevitable nature of interpretation still applies. Meanwhile, it may suffice to describe the Gospels, each with its own outlook and programme, as fusions of history and belief, each using the other as its medium. In many ways, the Gospels are in this way not unlike 'lives' of famous figures written in the same period: only the stakes are higher, the belief-claims more intense—and the colouring (and legitimating) of the story of Jesus by depicting him as the fulfilment of already accepted Jewish Scripture adds a unique feature which may have a distorting as well as an illuminating role. The relative parts played by oral tradition and creative writing in the making of the Gospels are a matter of much dispute and do not lend themselves to dogmatizing. What is of interest is that the two phases are different in their implications—certain kinds of fluidity have been closed off by the act of writing; and that writing does not bring oral development to an endpeople continue to tell stories and repeat teaching, and, especially in such circles as the early Christian groups, it is likely that writing did not preclude re-writing, so that it may be inappropriate to entertain the idea of 'the original manuscript' of a Gospel after the manner of a modern book (Stanton 1989). There is a third mode of early Christian writing to survive—apocalypse or 'revelation'. Represented by only one complete book in the New Testament (apart from the letters in chapters 2 and 3), the Revelation of John, it nevertheless typifies much in first-century Christian mentality; and it plays a not inconspicuous part in the Gospels (Mark 13; Matt. 24; Luke 17, 21). It adopts, as a natural mode of communication, a genre established in Judaism from the mid-second century BCE: 'apocalyptic' or revelatory writing works in a quasi-poetic and ecstatic manner with a code of imagery with deeproots in Jewish literature (cf. the Old Testament books of Ezekiel and Zechariah), and presents a picture of the inside of heaven and the future course of history, focused on God's faithful ones and their enemies, soon to be vanquished. This riotous (to us) way of expressing other-worldly hope for this world tells us something of the proportions of the minds of many early Christians. However, the Revelation of John did not have an easy passage into the formal collections of authorized Christian writings and, except in certain limited circles, has remained somewhat on the margins. It was more important in what it reflected of the time of its writing than for its continuing role as Scripture at the centre of the Church's use (Rowland 1982). The first Christians were already equipped with authoritative books in the shape of the great collection of central Jewish writings which in due course they characterized as 'the Old Testament'. These gave the Church a firm rooting not only in a venerable past but also in God's purposes—once they were interpreted in the light of Jesus, seen as their fulfilment. But there is nothing surprising in the fact that Christians came to adopt their own supplementary collection of authorized and normative writings; and as we have seen, that role was, in various ways, virtually implicit in the earliest use or even, in some cases, the actual making of those writings from the start (Lindars 1961). However, the process received a considerable fillip and a certain formalization in the second century when the maverick Marcion propagated a version of Christianity which displaced from redemptive usefulness the Jewish heritage, the Jewish God (as he saw him) and the Scriptures that spoke of him and issued from him. Christianity was already a 'bookish' religion: so its own new books (a 'new testament') came to the fore in their own right and soon became the standard by which all else, including the Jewish writings, retained by most Christians, was to be interpreted and to which it led. The process of deciding exactly what the list of those books should be was not concluded much before the last years of the fourth century, but in essentials it was in place by the latter part of the second. 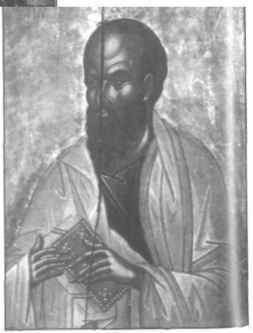 Use of, above all, Paul's letters and the Gospels became generally settled in both liturgy and teaching. They were one of the chief rocks on which Christians could endeavour to rest amid the continuing swirl of interpretation and speculation to which the books themselves, in part, gave rise.